UNIONDALE, Long Island (WABC) -- A mom on Long Island was arrested on Wednesday for allegedly driving drunk with her child in the car. Police say they found 31-year-old Ladion Logan at the scene of an accident, wearing a shirt that said "Support Your Local Bartender," near the corner of Jerusalem Avenue and Uniondale Avenue in Uniondale at approximately 5:45 p.m.
That's when police say Logan began to yell and curse at the responding officers, followed by a struggle as officers tried taking her into custody. 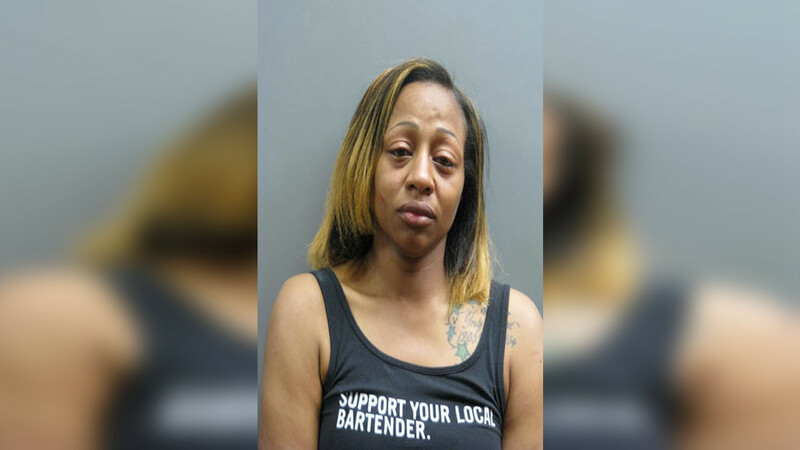 Police say they then discovered that she was driving under the influence of alcohol with her six-year-old son in the car at the time of the incident. The child is currently under the care of other family members. Logan is charged with aggravated driving while intoxicated, which falls under "Leandra's Law," driving while intoxicated, resisting arrest, and endangering the welfare of a child.